One of my favorite ways to talk about regulation with my son and to give him insight into new self-regulation skills is to read books. 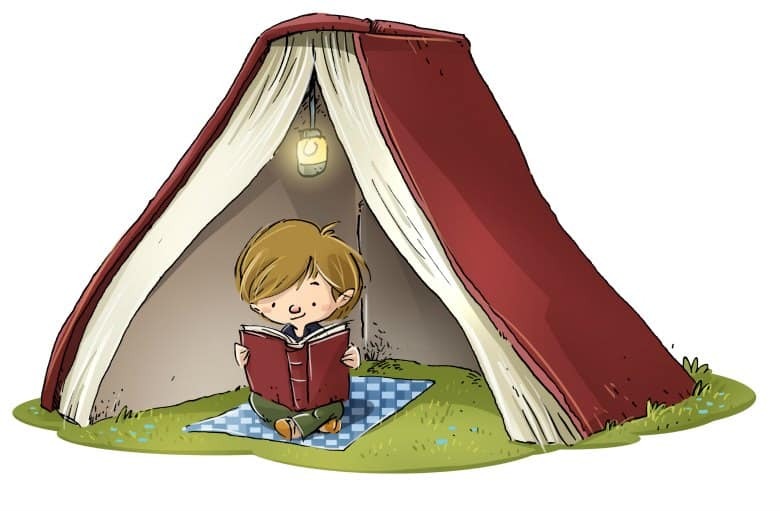 Books are such a powerful tool for parents — they are a way to connect, a way to calm down, and a way to teach life lessons. I’ve listed some of our favorites below. 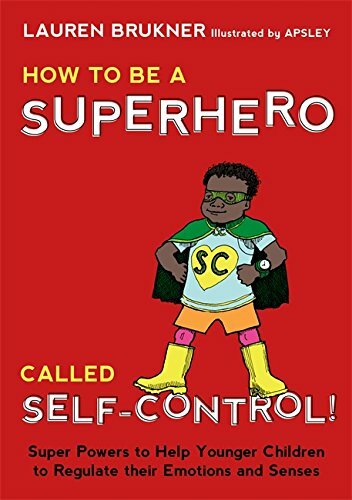 The first list includes books that directly teach children about self-control strategies and are great to help children reflect on their own ability to self-regulate in various situations. 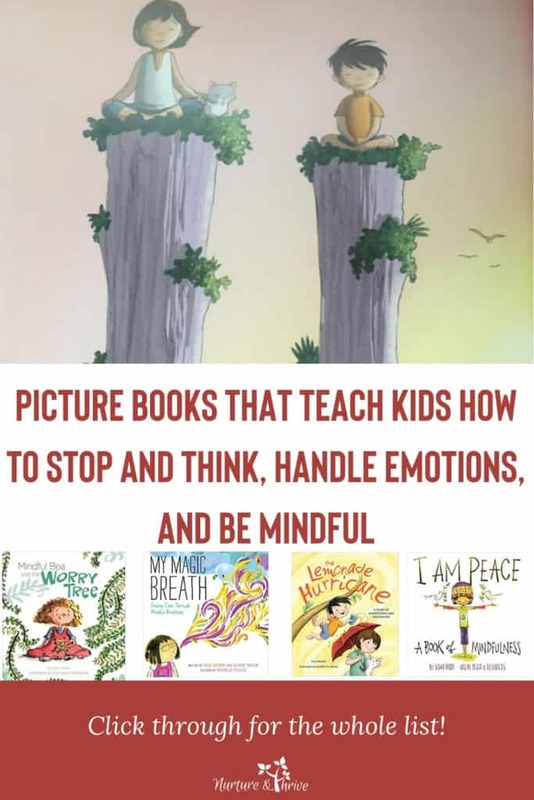 The second list below includes books that teach children to breathe through emotions, to be able to pause before acting, to be mindful of their bodies and more. 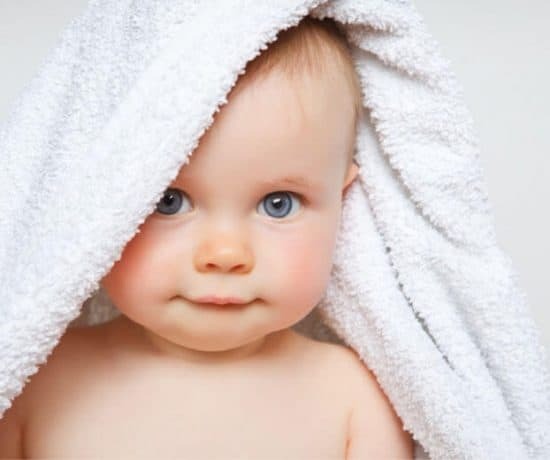 Through the methods of mindfulness, children can learn self-awareness and self-calming strategies that will become life-long skills for handling stress and emotions. And finally, the last list below includes fun picture books that show characters in laughable and relatable situations. Kids will want to read these books over and over, and maybe they will learn a few self-regulation skills along the way. 1.What Were You Thinking? 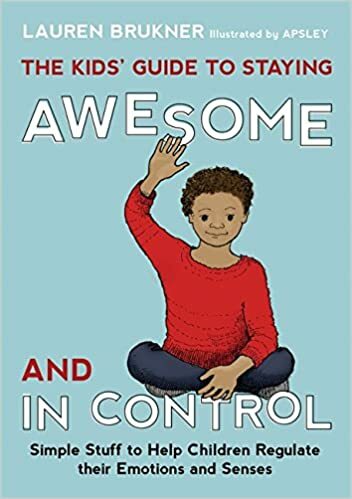 A Story about Learning to Control Impulses – This book follows a day in the life of Braden, a 3rd grader who is learning how to control his impulses. Braden wants to be funny and blurts out things he shouldn’t, reacts to things he believes to be unfair without thinking, and eats a bunch of cupcakes without thinking about who or what they might be for. 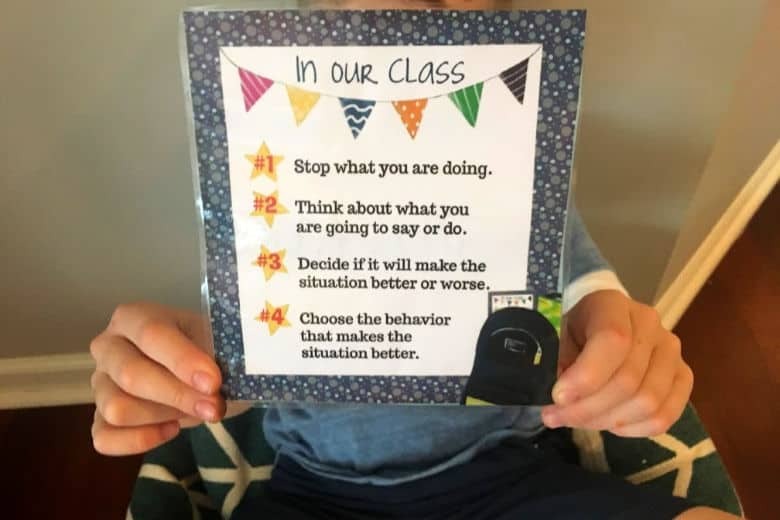 Luckily, Braden has some pretty understanding adults in his life who give him some tips on how to start controlling his impulses: Stop, Think and decide if your actions will make the situation Better or Worse. 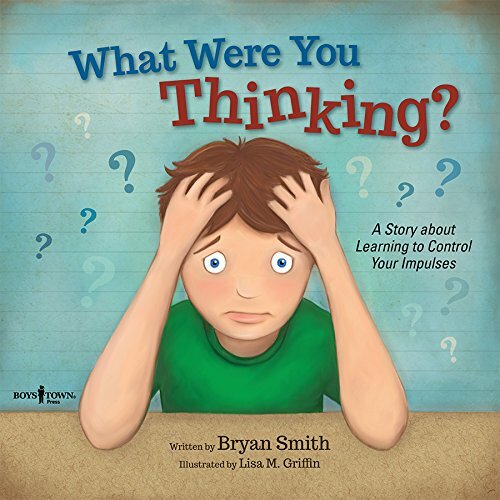 This book opens a lot of opportunities to talk about -self-regulation in the school setting. Things like when you can be funny when you should be serious, how to react to situations when you are angry, and thinking through issues. My son especially likes the Better or Worse? question, this is something he says to himself often and I believe helps him think through the consequences of his actions before he acts. 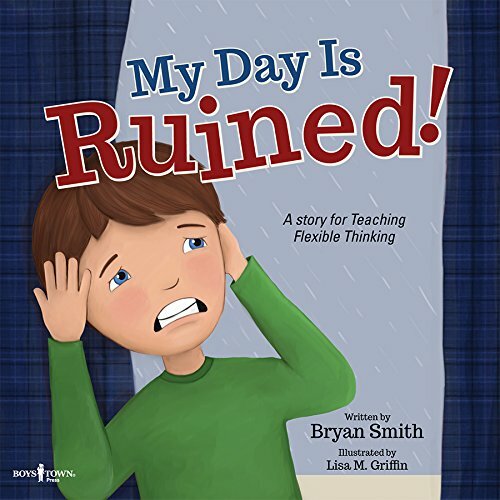 If you like this book, there are a few others by the same author which address the executive function skill of flexible thinking: Of Course, It’s a Big Deal and My Day is Ruined! We copied and laminated this page from, What were you thinking? Perfect for putting in your child’s backpack as a reminder to think before you leap. 2. What Should Danny Do? 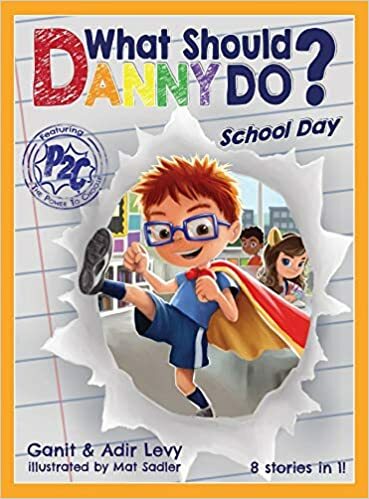 – This book also goes through several choices a boy named Danny makes over the course of his week. He loves soccer, superheroes, and ninjas and he has his very own superpower –The power to choose! The reader gets the power to choose in this book too. The story follows along in a “choose your own adventure” style. 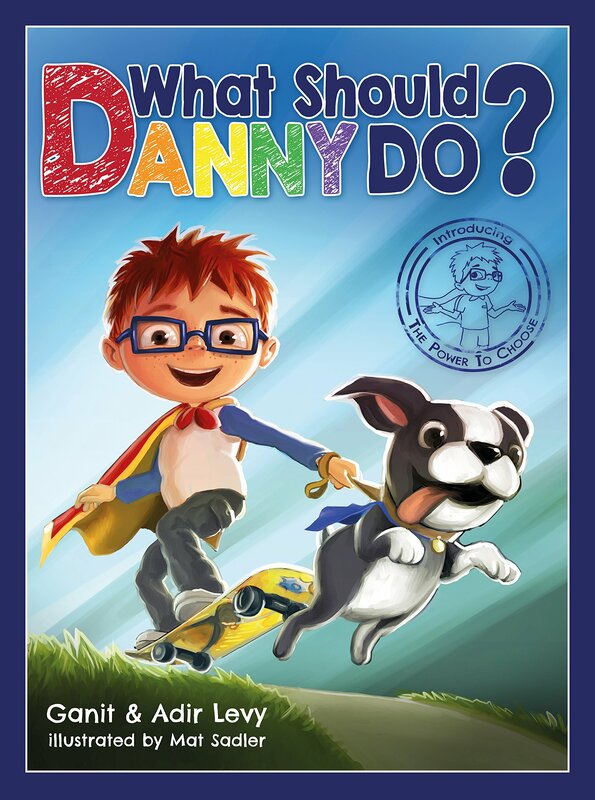 Your child gets to help Danny make decisions and sometimes those decisions lead to good outcomes and sometimes not. The first time we read it, my son made the “right” decisions. It was pretty obvious which the better choices would be. Then he wanted to go back and pick some of the poor choices. This shows kids how actions and choices have consequences. 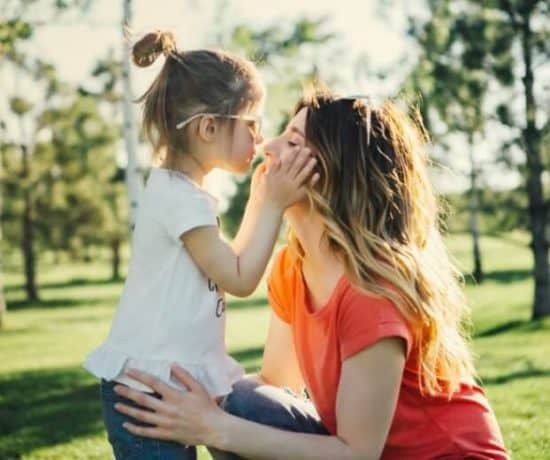 Many of the consequences are natural and encourage empathetic thinking, but some of them don’t fit perfectly with a positive/gentle parenting style. That was okay for us, my son seemed to understand that those were Danny’s consequences and his consequences wouldn’t necessarily be the same. Overall, he got the idea that your choices lead to certain outcomes. I recommend this book — the concept of choosing your adventure is great and the overall tone of the message is positive. Just be aware that if you follow positive/gentle parenting, some of the consequences (going to your room, no chocolate for a week) are “punishment” consequences. 4. 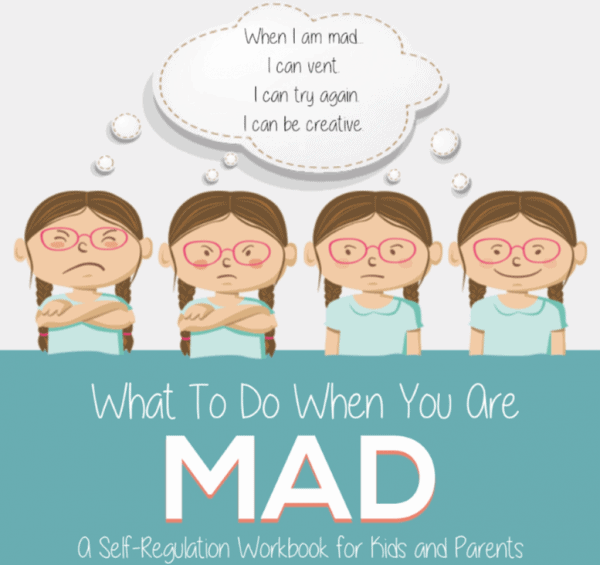 What To Do When You Are Mad: A Workbook for Kids- If your child struggles to regulate big emotions like anger or has a big temper, this workbook is for them. This workbook helps kids mindfully identify signs of anger in their body, how to vent their anger in healthy ways, and how to use their angry energy to solve problems. Based on self0regulation theory, this is a great book to learn how to work through big mad emotions. Mindfulness is the ultimate self-regulation tool. If we can help our children become aware of how their bodies react when stressed and how to calm that stress and the chatter of the mind we are giving them a skill that will use for life. In fact, developmental psychologists have found that mindfulness training has been shown to increase attentional self-regulation in children. These books capture the essence of paying attention to the inside and living in the moment. We often focus on teaching our children to pay attention to what’s going on around them, but really first they must be able to tune in to themselves. This is the first step in mindfulness. 6. 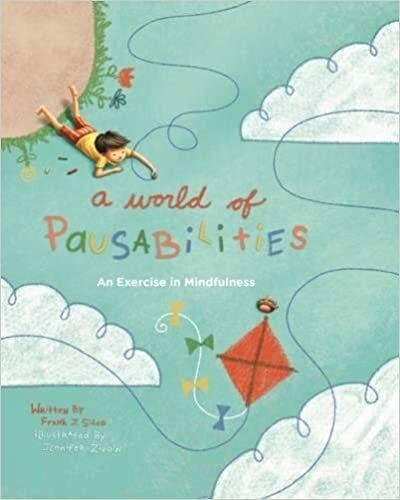 A World of Pausabilities: An Exercise in Mindfulness – Written by Psychologist Frank J. Sileo, Ph.D., this book is a wonderful introduction to mindfulness for children. Children do tend to live in the moment — but like the rest of us, they spend much of there time racing from one activity to the next, never pausing to enjoy something. This book will help your child and your family find some quiet moments in the day — and with it some calm. Learning to pause is an essential component of self-regulation — and it is important to teach our children this skill at times when they are not upset, which is exactly what this book encourages children to do, to learn to pause just like they would learn to play an instrument or ride a bicycle. 7. 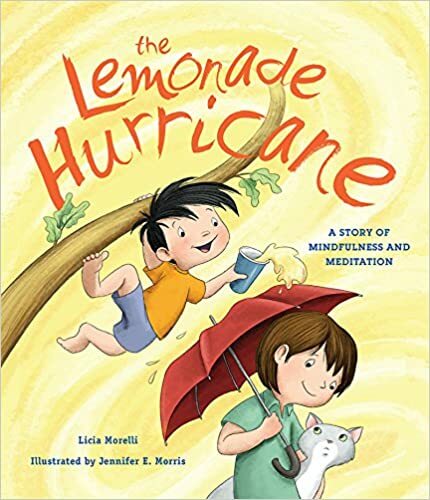 The Lemonade Hurricane – A Story of Mindfulness and Meditation – This book takes mindfulness one step further, it shows how it can be a calming influence. From the synopsis: “Henry is a lot of fun when he’s not storming through the house, so Emma decides to teach him how to be still. 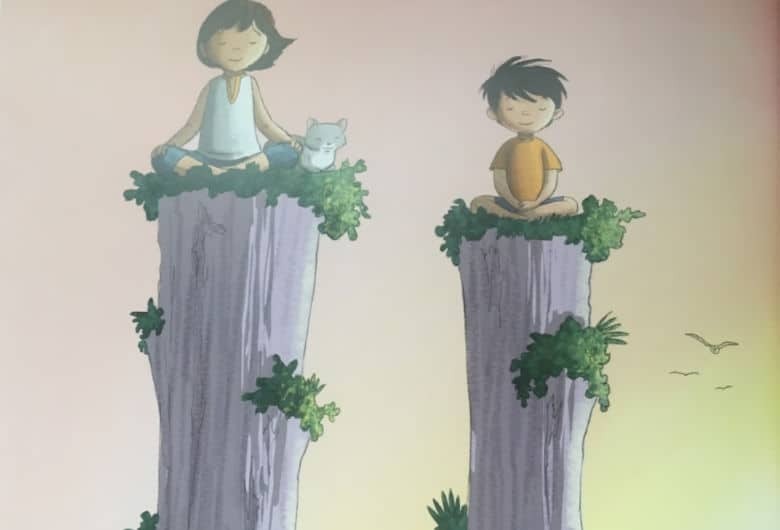 By showing him how to sit, bow, and breathe, Emma is able to calm the hurricane within Henry.” This book is a good one to help teach kids a balance between go, go, go and stopping and resting themselves and their minds. 8. 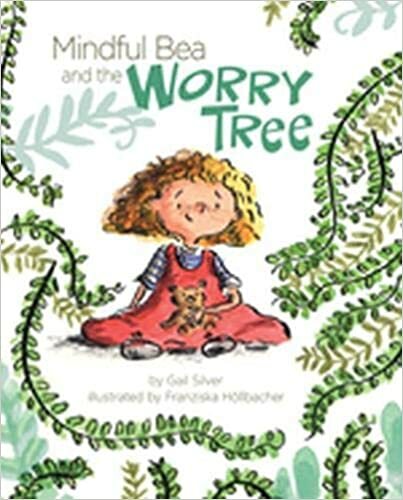 Mindful Bea and the Worry Tree – This is a brand new book that hasn’t been released yet at the time I am writing this post. 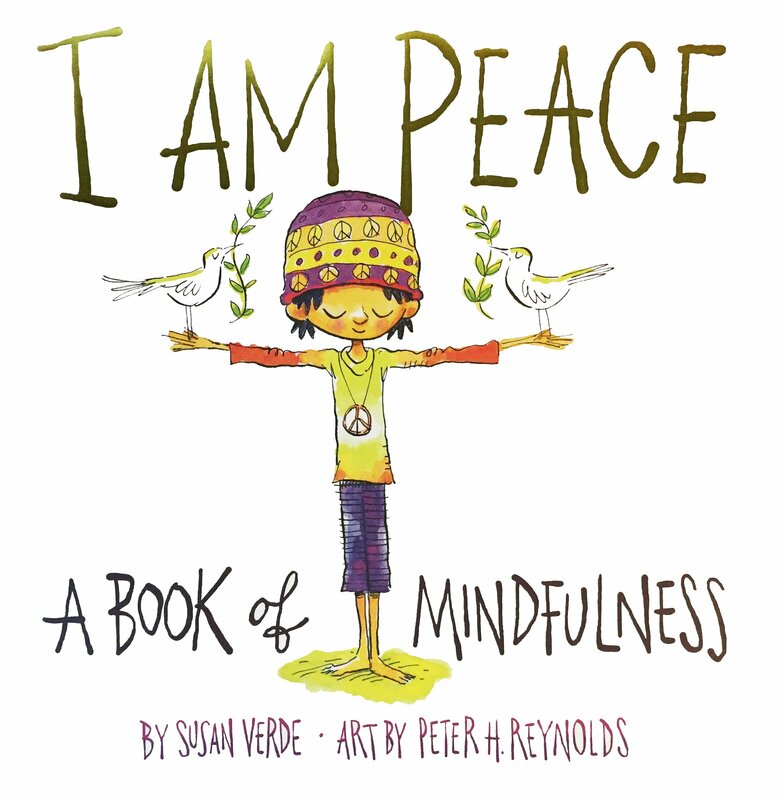 I am excited about this book because mindfulness is a great tool for children with anxiety. 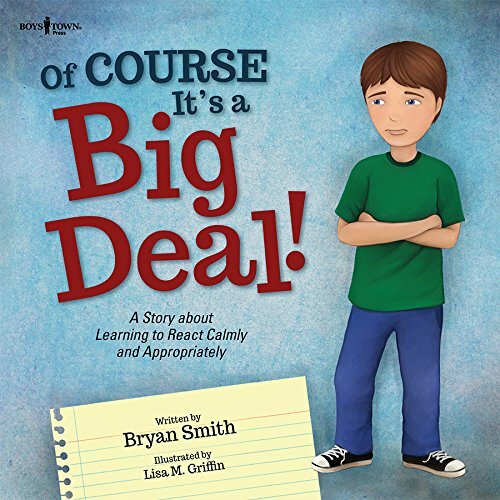 In this book, Bea gets herself all worked up before the start of a birthday party, but after stepping outside in her backyard and breathing mindfully and doing visulations, she able to calm down and join the party. I love that Bea has a worry tree, research shows that being in nature helps calm the mind. This book will be a good tool for parents of children with worries. 10. 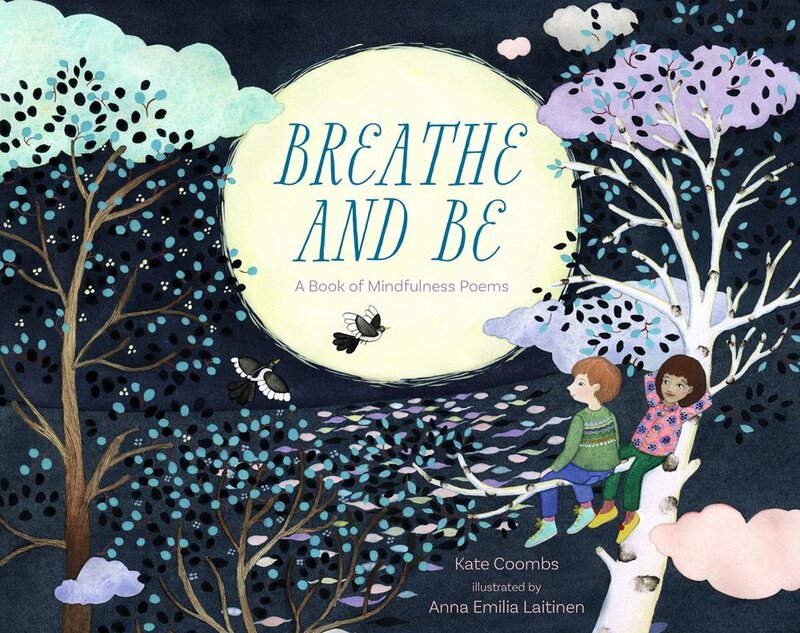 Breathe and Be: A Book of Mindfulness Poems – This is also a wonderful book to read when you and your child need calmness and relaxation, “What am I thinking? What comes and goes in my mind? I watch my thoughts. They swim by like little fish. They shine blue, green, red, yellow… there is a quiet place inside my head like an egg hidden in a nest. A place I go when the world is loud.” This book teaches the steps of mindfulness, breathing, being aware of thoughts and letting them go by, refocusing on the breath, and finding your own quiet place. This is true for emotions as well. 11. A Quiet Place – This book is a relaxing one to read at the end of a hectic day. It is about finding your own quiet place — by the shore, by the pond, on a mountain, in the snow — or maybe the one just inside of you. 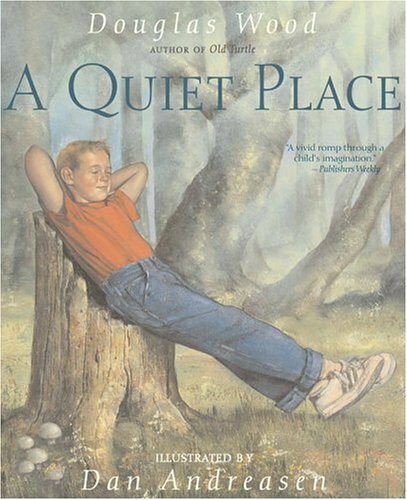 This is a great book for showing your child that everyone has a quiet place inside themselves. Teaching your child that they can go to that quiet place is a giving them the gift of peacefulness. 12. 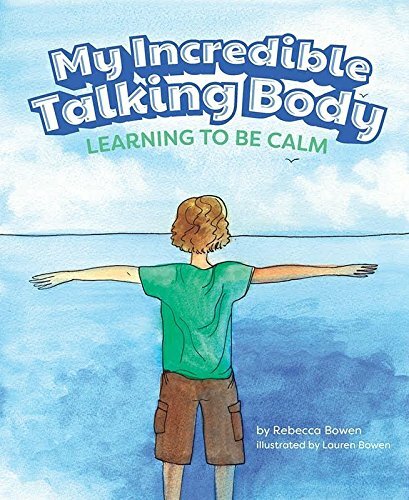 My Incredible Talking Body – This book teaches children the first step in being mindful — awareness of the body and how emotions feel physically. “It tells me I am sleepy when my eyes are droopy and I just can’t stop yawning.” The book goes through the feelings of hungry, thirsty, sleepy, angry, sad, scared and calm. “When I am calm, my muscles feel relaxed like my arms and legs have turned into spaghetti noodles. 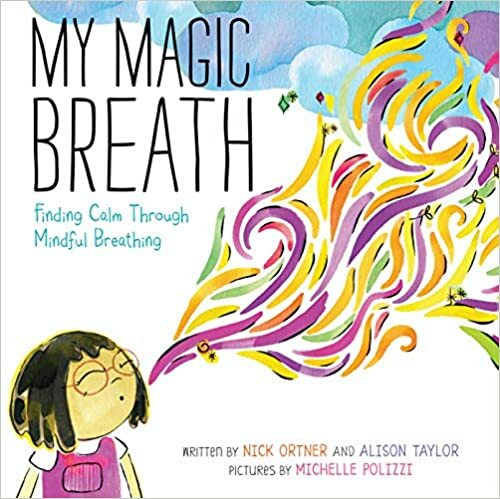 My breathing is slow and deep like when I blow up a balloon.” The book also discussed how to return to calm after feeling anger or sadness and give strategies for calming down. Learning to listen to the body is a good first step in mindful awareness and emotion regulation. 13. 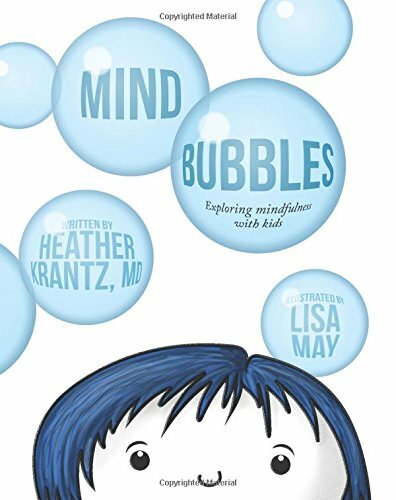 Mind Bubbles: Exploring Mindfulness With Kids – I love books that give kids a concrete example of how to deal with abstract thoughts and feelings. 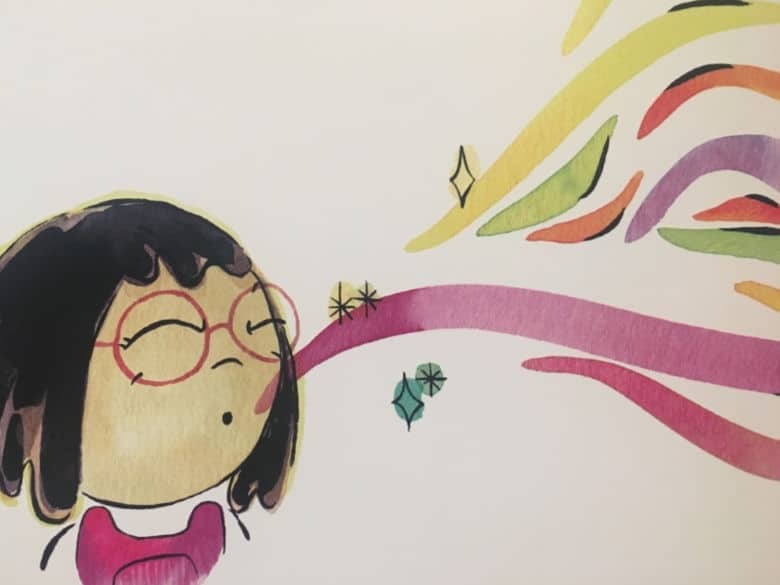 This book teaches children how to focus on their breath while letting thoughts, feelings, and worries pop away like bubbles. “Mind bubbles may float around for awhile, but the interesting thing is that they always pop. Thoughts and feelings change and new ones come along.” This is a great book to introduce mindfulness meditation to children. 15. 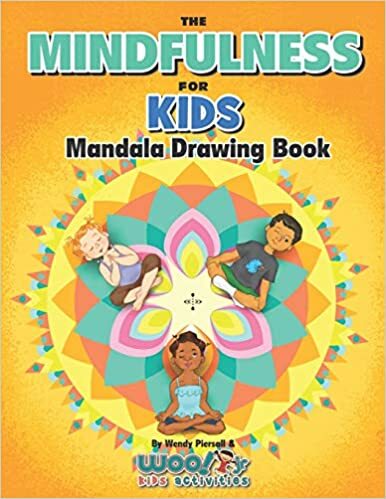 The Mindfulness for Kids Mandala Drawing Book – Research shows that coloring mandalas induces a meditative state and decreases anxiety in college-aged students. This coloring book for kids introduces mandalas and the concept of mindfulness while coloring or drawing. Then the book goes through different types of patterns and provides grids so children can draw their own mandalas. Using art as a self-regulation tool is a great life-skill. 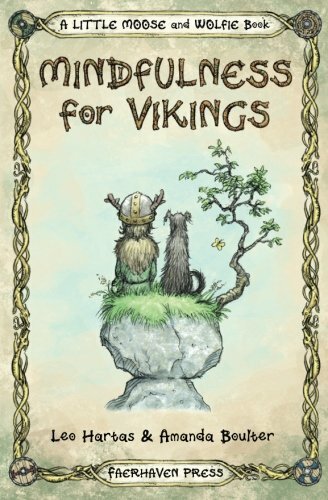 I would recommend this book for kids 8 through 12. These last books are all stories — pictures books with stories that illustrate how regulation happens (or doesn’t happen) in many kinds of situations. Your child will be able to identify with the characters as they overcome frustration, problem-solve, resist impulses, and wait for something worth waiting for. 16. 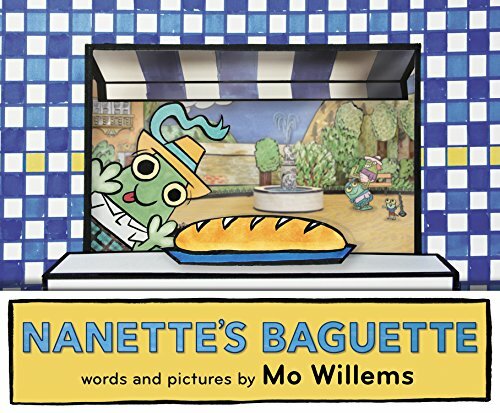 Nanette’s Baguette – This Mo Willem’s rhyming book follows Nanette on her first time being responsible to “get the baguette.” But will she be able to resist the baguette? It is warm, it smells wonderful!!! You will love the twist ending of this book that shows that sometimes it’s okay to give in to our impulses and enjoy. Learning to regulate is not just about suppressing, but also about being able to enhance emotions, savor life — to know when to be able to let go a little. I love this book about learning how to control impulses, but also when to let loose and enjoy the moment as well, Nanette’s Baguette. 18. The Most Magnificent Thing – Oh to know what you want to do, to be able to picture it exactly how you want it in your head and not be able to build it. This is a feeling our kids are all too familiar with as they are gaining coordination and skills. The main character in this book gets frustrated when her invention doesn’t come out– she fumes!! But then, she goes for a walk. She begins to feel different, she calms down. Then she is able to think more clearly again. Will she be able to go back and look at her work with fresh eyes? What a life-skill! To be able to take a break and go back and try again. 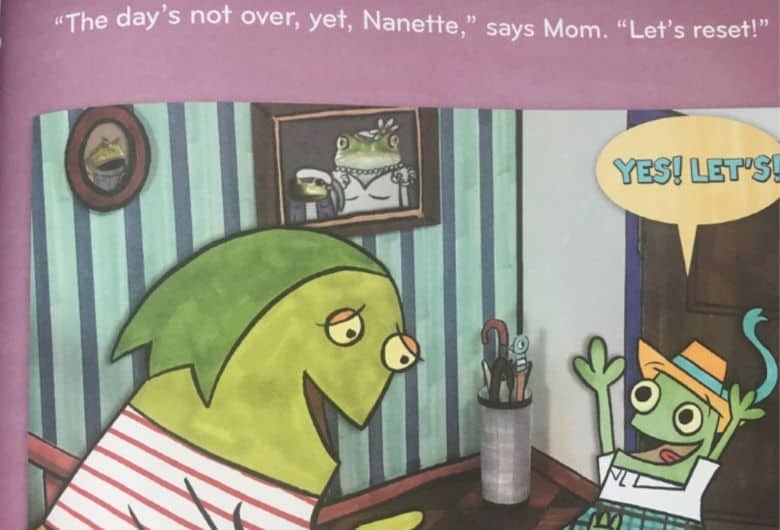 This book teaches kids that things don’t always happen on the first try, that you can get emotional, but you can regulate that, take a break and persevere. 19. Argle Fox – This is a great book about overcoming the big feelings of frustration and trying again and again. The story is captivating to young children, written with a sense of anticipation. 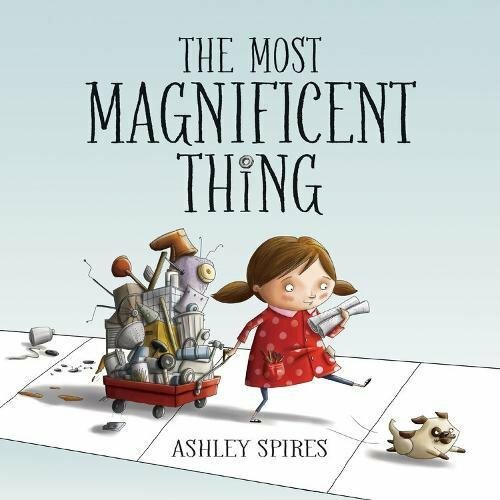 The story highlights big emotions, critical thinking, creativity, and perseverance. 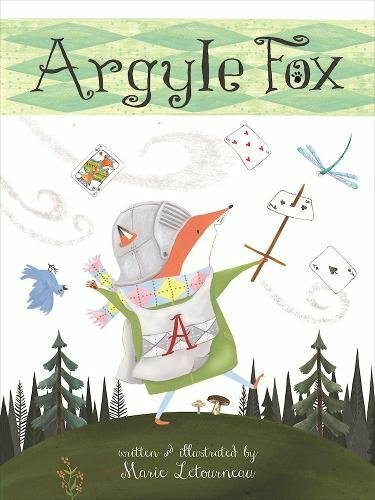 Kids will be able to relate very well to Argyle fox’s frustration and rejoice when he comes up with a solution at last. 20. 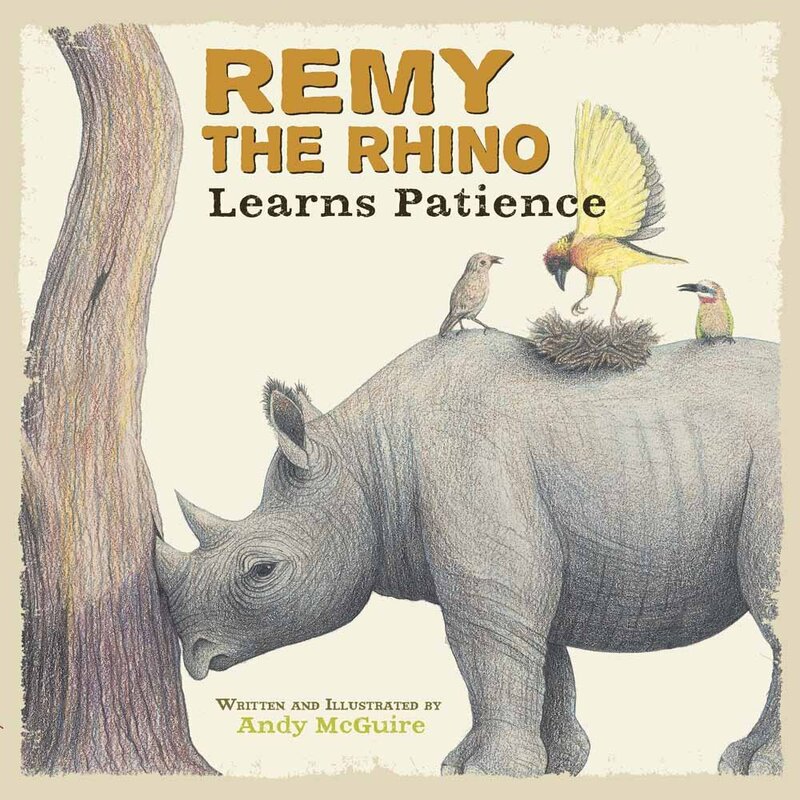 Remy the Rhino Learns Patience – Remy is a grumpy Rhino and is irritated by all of the other animals. He angrily tries to get his own way and one day makes a mistake. Will anyone come to his aid? Children will see that anger makes Remy’s predicament worse and if he can relax, he might discover a way to solve his problem and make a friend! 21. 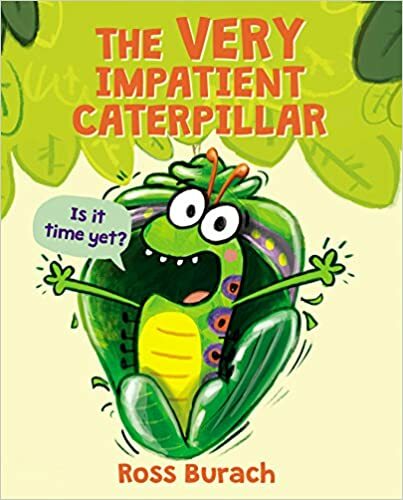 The Very Impatient Caterpillar – The librarian read this to my son’s class on a recent field trip and the kids loved it! This is a highly relatable story about a caterpillar who cannot wait to become a butterfly. Literally, CAN NOT WAIT. 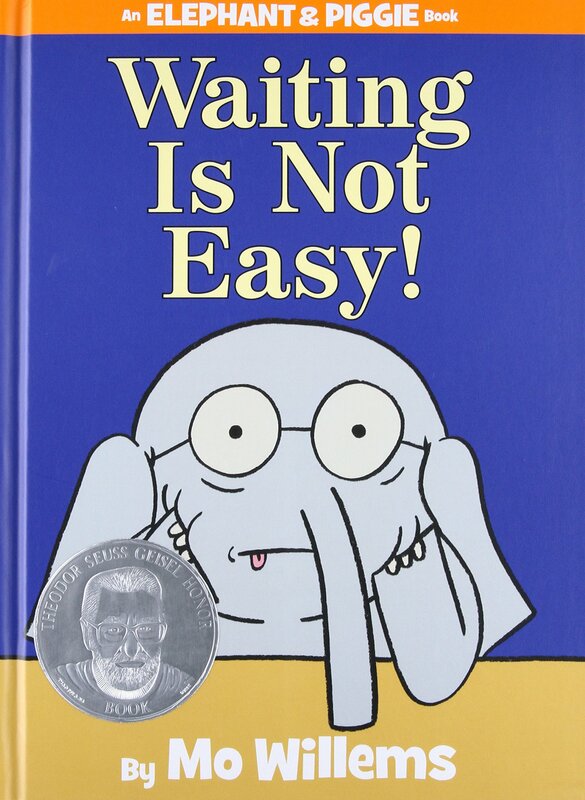 Perfect to read before any situation in which your child will have to learn that good things come to those who wait. Thank you!!! I hope they enjoy them. These all look wonderful! Thanks for sharing! I will check it out. Thanks!